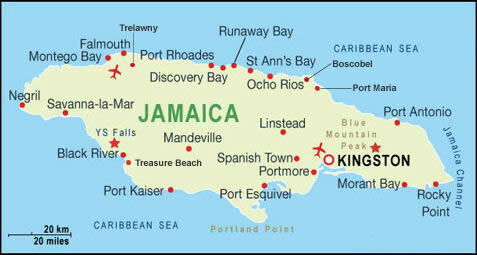 Having your own car will give you the freedom to visit some of Jamaica's beautiful golden sandy beaches, swim in the warm torques ocean, with hot sunny weather year round, see attraction close to your holiday resort, walk among the flora & fauna in Jamaica lush tropical rain forest and enjoy our warm friendly hospitality. You can rent a wide range of vehicles at every holiday resort or airport, from cheap economy options through to luxury car rentals. If you need a hire car for business trips or holiday rentals, you will find some of the cheapest car hire available in Jamaica. You can get a car rental from anyone of the major holiday resorts including Montego Bay, Ocho Rios, Negril, Port Antonio, Kingston, Discovery Bay, Treasure Beach, Runaway Bay, Falmouth, Trelawny and Boscobel Beach. From the beautiful beaches, to the lush and mountainous interior, car rentals in Jamaica will make your vacation that much more special.